The Moscow Arabian Cup is one of the biggest events in the equestrian world and, for the first time in its 40-year history, it was held in Russia. The event featured the participation of the leading horse breeders from Saudi Arabia, Kuwait, Qatar, the United Arab Emirates, England, France, German, Italy, Spain, the United States, Belgium, Poland, Sweden, Egypt, Austria, and Russia. The Moscow Arabian Cup is an exhibition where horses’ appearance is the first to be evaluated. Their ability to obey commands are only judged afterwards. Each breeder displays only the best of their best. These equestrian events are unique in that the horses are led to the arena without a saddle. Their handlers walk with them shoulder to shoulder, giving commands with only the help of a long leash, gestures and their voice. Any “unnatural” sounds, such as crumpling bags and purses, or rattlers are strictly prohibited. Whistling, clapping, and cheering, however, are allowed. 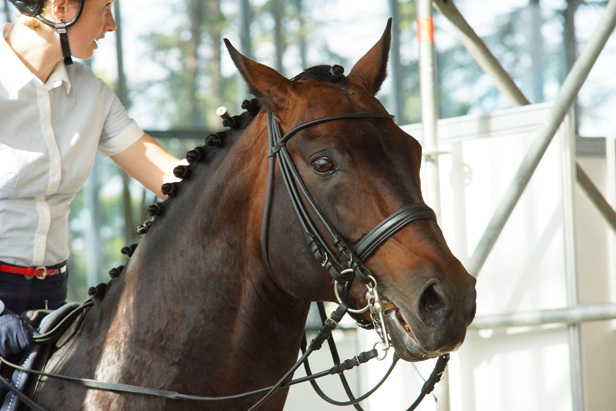 Horse handlers are specially trained individuals who have come a long way from simply working with horses in the ring. There are only a little more than 20 people in the world who deserve the title of best in their profession. Some of those individuals took part in the Moscow Arabian Cup.